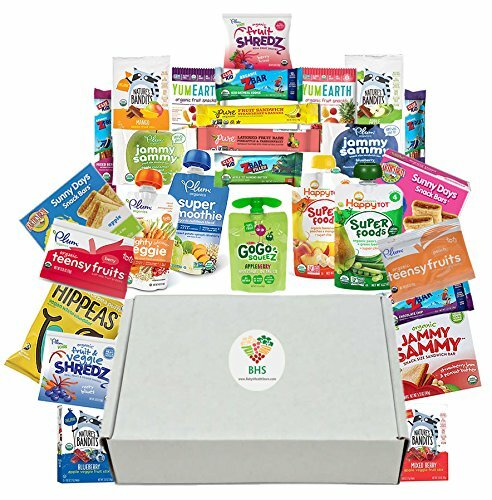 CERTIFIED VEGAN SNACK BOX: Bunny James Deluxe Vegan Box is a collection of 30 individually wrapped Vegan Protein Rich snacks. Assortment includes a mix of delicious and nutritious plant based snacks and chips with plenty of sweet and savory options to fit every taste bud. FORGET COMPROMISE: Now you can have Quality and Quantity - Stuffed to the brim with the highest quality vegan snacks- Handpicked to give you the perfect mix of chips, bars, grab and go, protein and sweets! ORGANIC and VEGAN SNACK BOXES: Try it before you buy it! 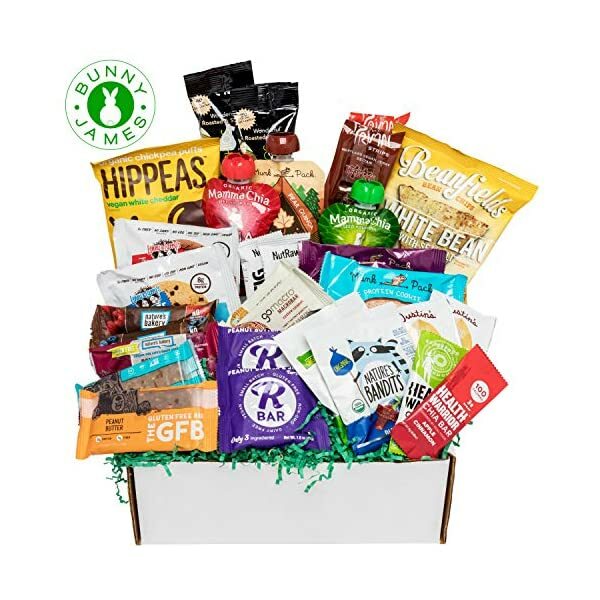 This vegan gift basket is a great way to try a mix of 28 different healthy toddlers snacks before you buy a whole box of just one or two treats. All organic premium snacks. Full size yummy toddler snacks to try out. OFF TO GRANDMA'S HOUSE YOU GO: This is a great care package to buy as a gift when a little one is coming to your house or when going on vacation. No need to guess what they are going to like or what they will snack on when they get there. CONVENIENCE: Easier than buying 20 or more boxes of snacks in your groceries. Plus, no need to pack this snack box. Just send to wherever you're going to be and a box of snacks will be waiting for you when you get there. Choose PRIME shipping and you can have it to you in 2 days. 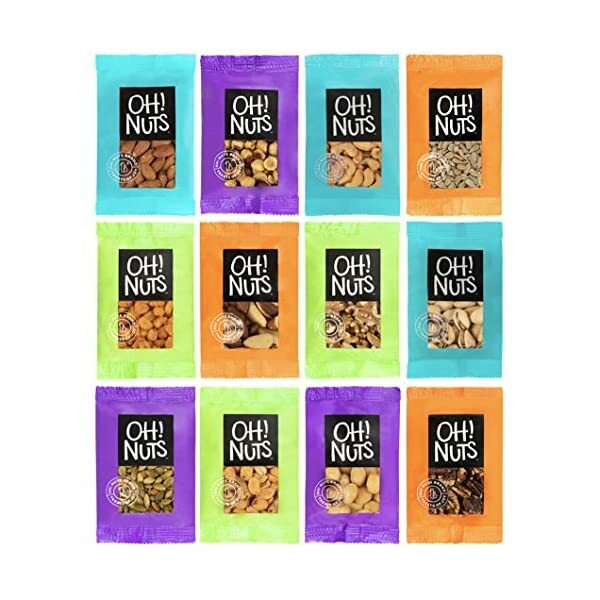 NO ARTIFICIAL COLORS, FLAVORS OR PRESERVATIVES IN ANY OF THESE DELICIOUS GLUTEN FREE AND DAIRY FREE SNACKS! 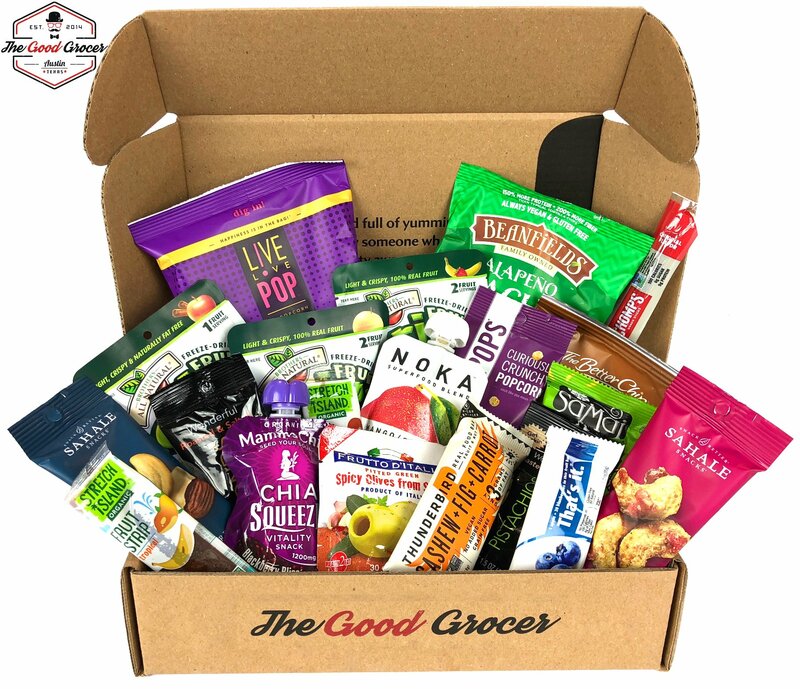 The Gluten Free and Dairy Free Healthy Snacks Care Package by The Good Grocer is an assortment of 20 individually wrapped, full-size single serving snacks. PERFECT EASTER GIFT: Dairy Free and Gluten Free snacks that you can trust. Perfect for students, military, college care packages, get well soon care packages, office break rooms, kids lunches, road trips, college dorms, colleague and client appreciation gifts and more! Great for holidays, birthdays or housewarming gifts too! This Gluten Free and Dairy Free Care Package is a fun and hip alternative to gift baskets. BEAUTIFULLY PACKAGED: Snacks come packaged in our awesome gift box. It's really cute and earth-friendly too! All of our boxes are made from 100% recycled materials. 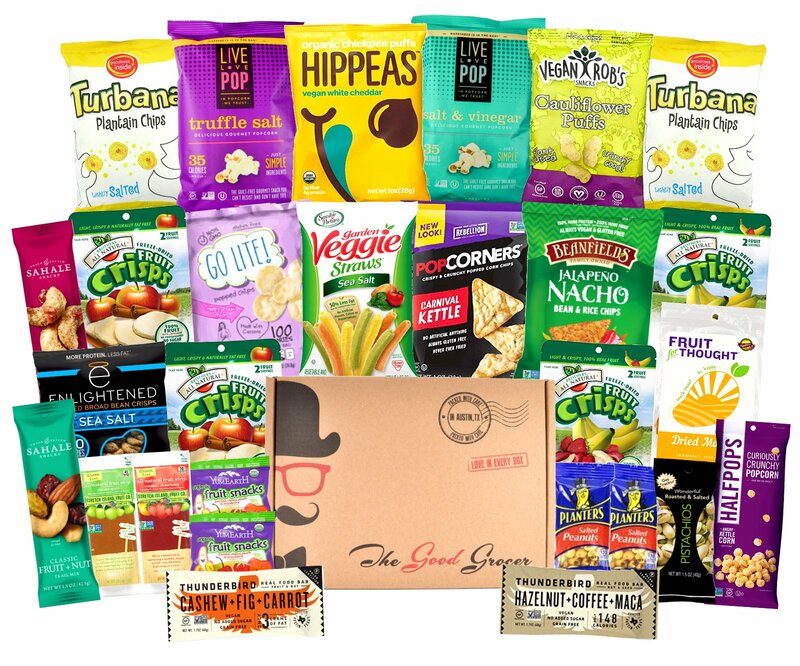 Expertly packed with care in The Good Grocer gift box, this assortment of premium snacks is sure to impress anyone. Vegan Care Package for College Student Birthday or at Final Exam Time, Military Troops, Office Meetings or Anyone who wants to eat Healthier. 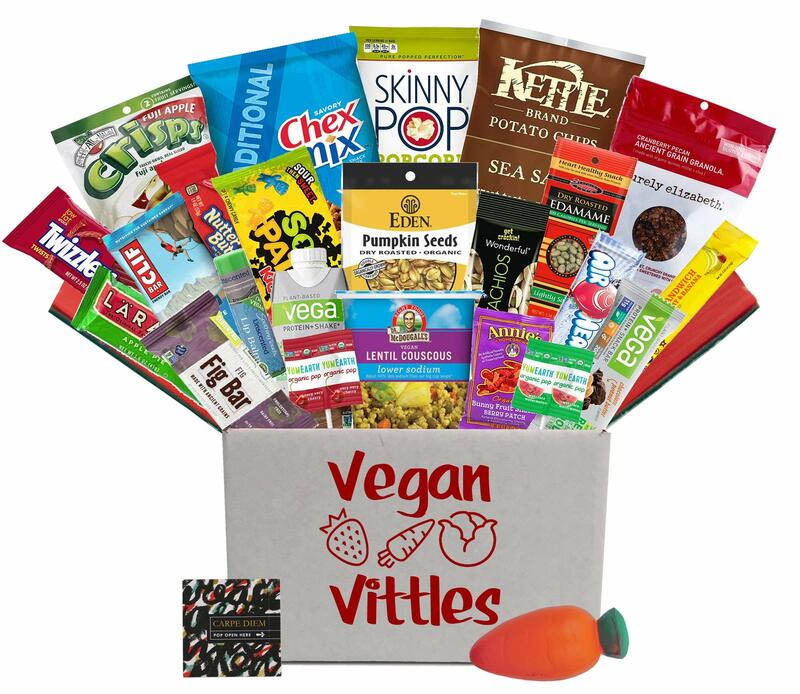 Vegan Care Package Full of Delicious Snacks and Treats - All Vegan!